Falls are the third leading cause of unintentional death in the U.S., accounting for nearly 32,000 deaths in 2014, according to Injury Facts 2016®. The risk of falling rises with age. Women were more likely to be hurt than men. 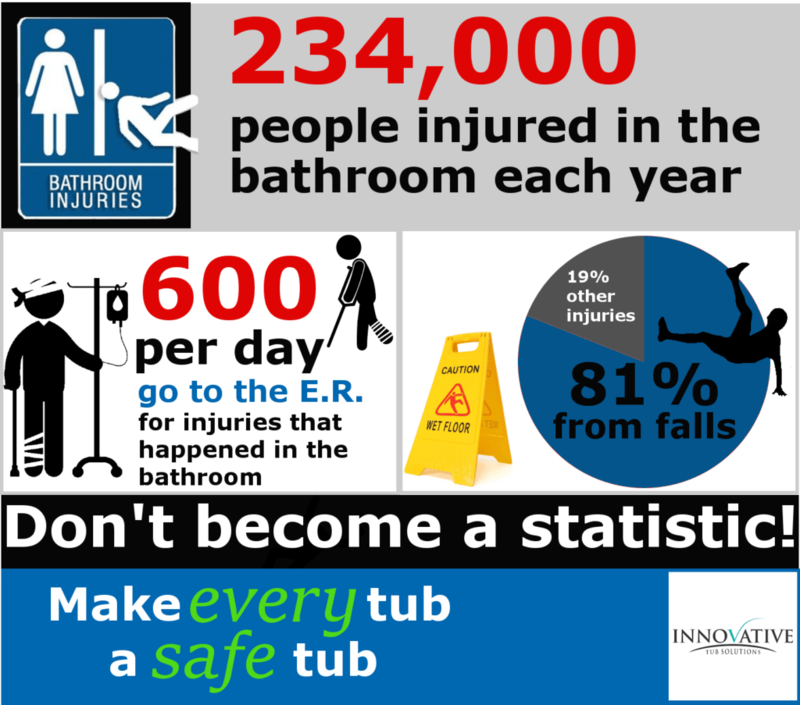 Two-thirds of all injuries occurred in the tub or shower, though only 2.2% occurred while getting into the shower or tub. Injuries increase with age, peaking after 85, the researchers found. But injuries around the tub or shower are proportionately most common among those ages 15 to 24 and least common among those over 85. People over 85 suffer more than half of their injuries near the toilet. These accidents are preventable! Make sure you have a regular bathtub maintenance plan in place every 4-6 years. Providing guests with a rubber mat is no longer acceptable by most guests’ standards, and it is likely they are not being used. Whether you fully refinish the bathtub, or just have a non skid coating installed on the tub bottom, it’s in your best interest to make sure your bathtubs are maintained for safety.